Surveyor, MLA (1875-1878), MLA (1886-1888), MLA (1888-1892), MLA (1892-1895). Born at Rimouski, Canada East, 14 May 1849, son of Henri Martin and Marie Dessein, he was educated at Rimouski College, and later studied surveying and civil engineering. In 1871 he was admitted as a Dominion Land Surveyor. In 1872 he came to Manitoba and settled in the town of West Lynne on the international boundary. He was employed on various early surveys, including that of the Parish of Ste. Agathe. In December 1874, he was elected to the Legislature representing Ste. Agathe, and the following year he was chosen to lead the opposition. 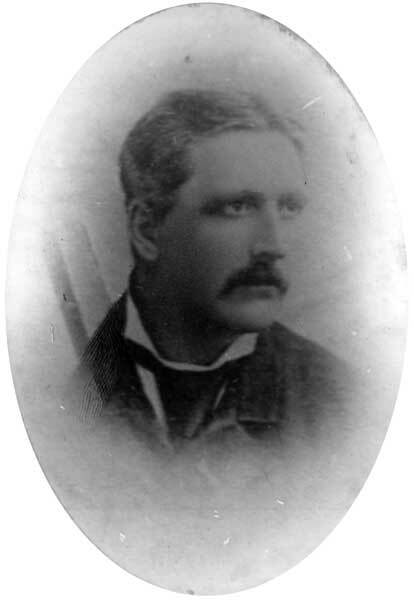 He was defeated in the elections of 1879 and 1883, but in 1886, 1888, and 1892 was successful in the constituency of Morris. He was a supporter of the “Manitoba first” principle, and an advocate of the extension of the Province’s boundary to Hudson Bay. He was a champion of the separate school system, and in 1891 he debated the subject in the House for nine hours continuously. Defeated in the 1896 and 1899 elections, he retired from politics and resumed land surveying until his death. He wrote Martin on Practical Surveys in 1883. In 1876, he married Louisa Radiger (?-1927), daughter of lawyer John Radiger and sister of C. W. Radiger and E. F. Radiger. They had eleven children. He died at Winnipeg on 8 February 1905. He is commemorated by Martin Avenue. “Mrs. Louisa Martin, Winnipeg pioneer, dies,” Manitoba Free Press, 27 December 1927, page 6.